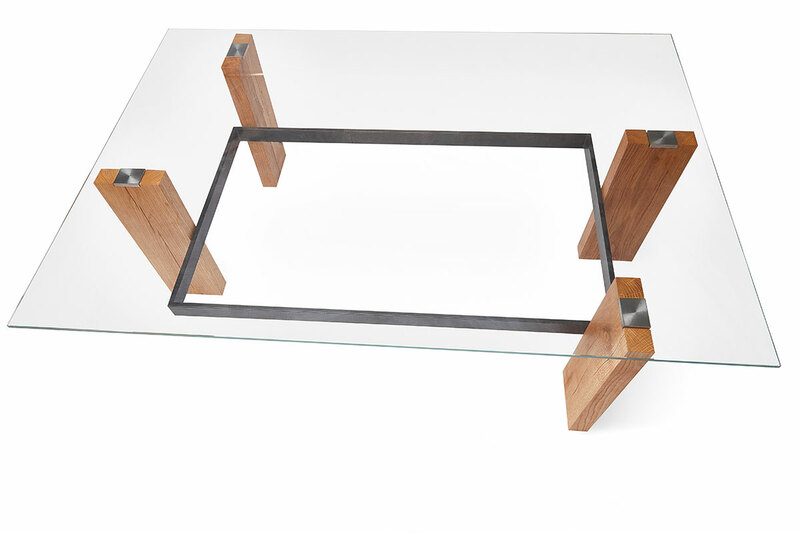 Miko Coffee table combines stylish modern design and noble materials, perfectly fitting into the interior of almost any room. The original base of the table is the legs of natural vintage oak, fastened with a metal pipe, powder painted in a deep matte black color. 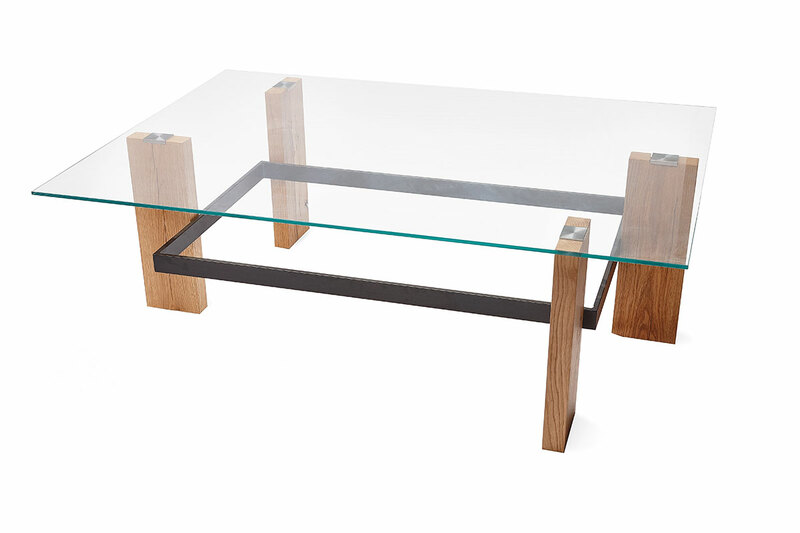 Such a strong and stable base is complemented by a visually fragile but sturdy tabletop made of 8 mm thick transparent tempered glass. 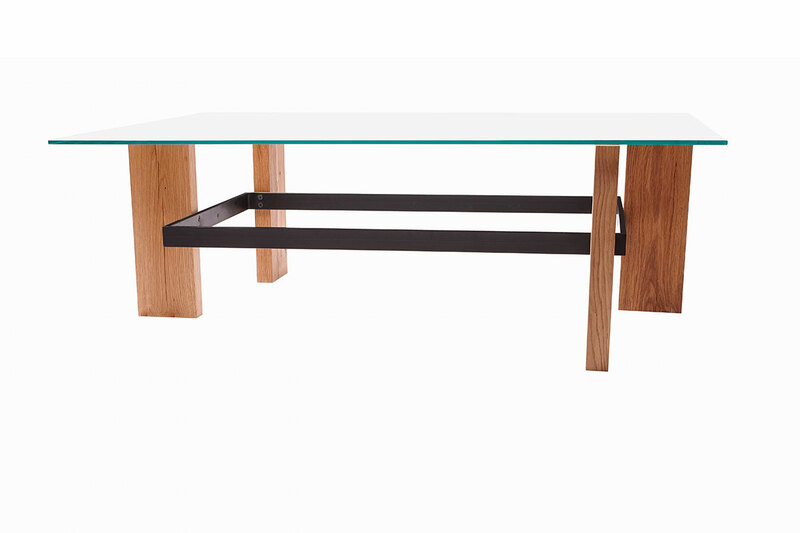 Dimensions of the table are 1170x810x400 mm.